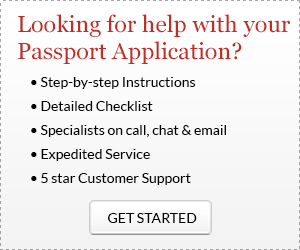 You must provide proof of citizenship for all US passport services. Most passport applicants are able to submit preferred evidence of United States citizenship for passport requests, such as a birth certificate showing birth in the United States or a previously-issued US passport. However, if you do not have one of the documents accepted as primary evidence of US citizenship, you may be able to prove your citizenship by showing documents from our list of secondary evidence of US citizenship. The following items are accepted as primary proof of US citizenship. You only need to submit one of these items. Previous US Passport – Both valid and expired passports may be used. If your appearance has changed significantly since your passport was issued, you may need to submit a different form of proof of US citizenship. 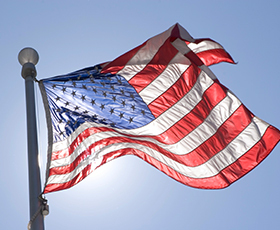 US Naturalization Certificate – Original or certified copy. Consular Record of Birth Abroad – If you were born overseas to a US parent, you can submit an original Consular Record of Birth Abroad (Form FS-240) or Certification of Report of Birth (Form DS-1350). File Search – If you have previously been issued a passport, but it has been lost or stolen, you may request a file search at the Passport Agency. You will need to submit this form and an additional $150 fee. Don’t have any of the documents listed above? If you were born in the US but were never issued an official birth certificate, you can submit secondary proof of US citizenship. Birth Affidavit (Form DS-10), completed and notarized by an older blood relative or the medical professional who attended your birth. A written statement from your parents specifying their residential addresses in the US and abroad before and after your birth.